The first Riddle Challenge will open on Monday, July 6th 5p.m Mountain Standard Time (MST) The second Riddle Challenge will open Monday, July 13th 8 a.m MST. The third Riddle Challenge will open Monday, July 20th 8 a.m MST.The final Riddle Challenge will open Monday, July 27th 8 a.m MST. All Riddle Challenges will end Sunday, August 2nd 11:59 p.m MST. You must complete and submit the form corresponding to that week’s Riddle Challenge and answer the riddle correctly to be entered to win. You have the option of answering the riddles from week to week or all at once before all entries close Sunday, August 2nd 11:59 p.m MST. There will be one winner chosen at the end of the contest who will win a Platinum™ machine and two Contour™ Steel Rule Dies. Spellbinders staff will determine which two steel rule dies are included in the prize pack. Only one entry per person, per Riddle Challenge is allowed. The Grand Prize Winner will be randomly drawn from the pool of entrants that completed and successfully answered entry forms from each Riddle Challenge . All winners will be emailed beginning Wednesday August 5th, and will have 48 hours to reply to that email to claim their prizes. A new winner will be drawn if a winner fails to respond. 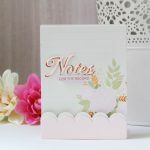 The winners will be announced on Spellbinders’ blog on Friday, August 7th. . 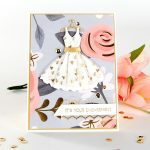 Your entry constitutes permission for SpellbindersÂ® to add you to our email database, to publish your first name, city, state, and country of residence along with a quote from you to be used on the Spellbinders Blog and in promotional materials. The contest is open to entrants worldwide. 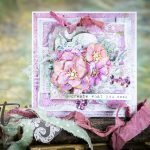 Any questions regarding this contest should be sent to contestquestions@Spellbinders.us. This Riddle Challenge is sponsored by Spellbinders Paper Arts, located in Phoenix, Arizona, USA.